Thanks to the generosity of local residents, several hundred families received toys this week to put under their Christmas trees. The Salvation Army’s Angel Tree program distributed gifts to more than 560 families and 1,200 children today and yesterday. Donors pick a tag off of the Angel Trees set up in shopping centers throughout the county. The tag includes the age and gender of a child, and the donor buys gifts he or she might like. 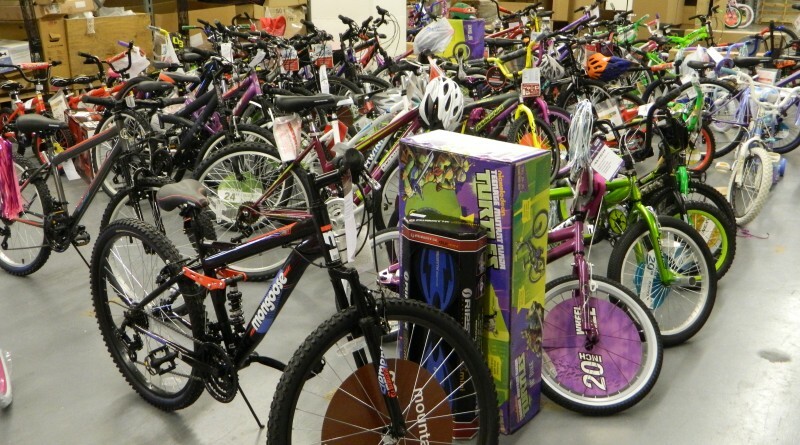 From there, the mountain of toys, bikes and clothes are stored and sorted at the National Conference Center in Lansdowne. Families who qualified to receive presents through the program stopped by the center over the past two days to load their vehicles with toys for their children.